Brush the fish with oil, season with salt. Mix the panko breadcrumbs and lemon zest in a deep dish. Toss the fish in the breadcrumbs in batches, press gently on the crumb coating, place on a baking tray lined with baking paper. Bake for approx. 15 mins. in the centre of an oven preheated to 200°C. 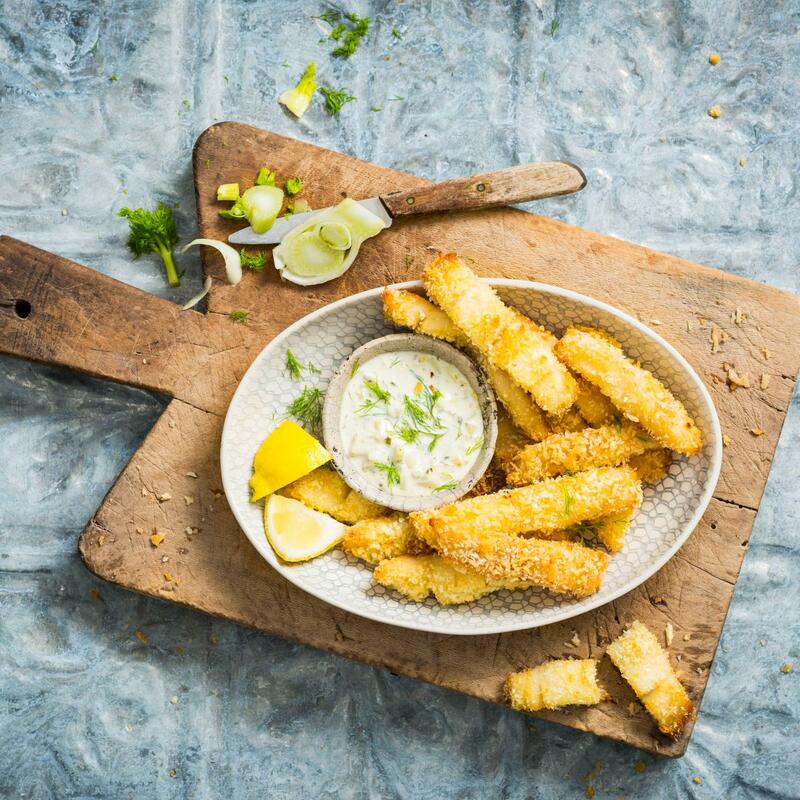 Mix the fennel with the tartar sauce, serve with the halibut fingers.